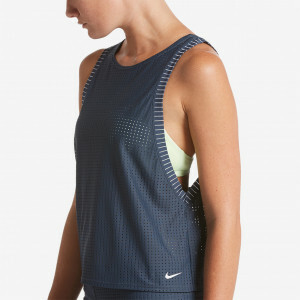 Nike Swim Women's Nike Sport Mesh Layered Midkini has a high neckline to maximize support and coverage. The women’s swimsuit features mesh panels to allow moisture to escape, and it has quick-drying removable cups for extra shaping. Stabilizer pockets hold the cups securely in place, reducing distractions while you swim.